Ours exclusively, this cigar accessory gift set is perfect for any cigar aficionado. 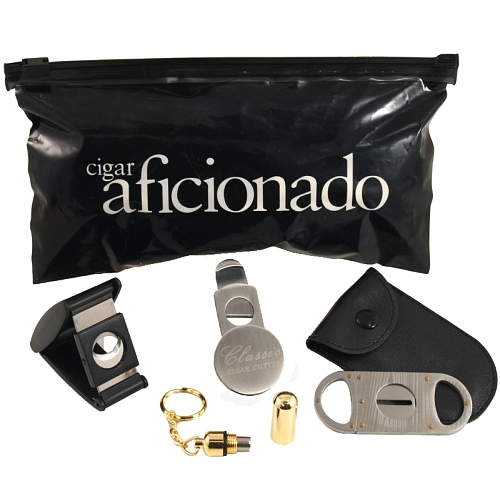 It comes packaged in a reusable zip top bag which features the Cigar Aficionado magazine logo on it and includes four different cigar cutters. The great variety you get with this set allows you to have a cutter on hand for every cigar situation.